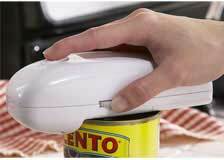 An Automatically Rotating Opener For Nearly Any Size Can. Cuts a smooth edge just below the rim! 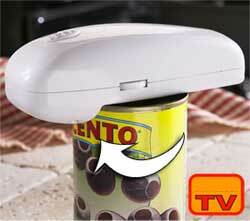 This can opener automatically travels around the edge of the can, making a clean cut just under the rim. Once it stops, you can safely and easily lift off the lid.